It’s been quite a month for racial awareness in Britain. First we learned that the country’s first inhabitants were black. 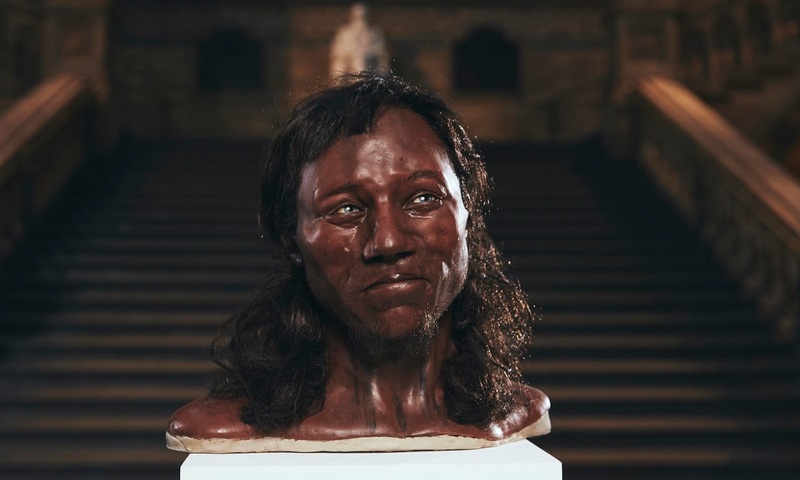 The first recognisably human people to populate the island, some 10,000 years ago, were dark-skinned, new research into so-called ‘Cheddar Man’ has shown. Bad news for those grieving for the ancient racial purity of the country. At least if they’re white. Next we had the news that quite a while after Cheddar Man’s time, around 4500 years ago, a bunch of people showed up from the Continent. These were the ‘beaker people’, so-called because of finds of a distinctive style of pottery beakers with a flared lip. DNA analysis has shown that they’re distinctly different people. They turned up in Britain and the previous inhabitants simply vanished into the background, never to re-emerge. So the population of Britain was originally black. Those people were then supplanted by immigrants from Continental Europe, though what their colour was I don’t know: what I’m focusing on is that they came from what is now the EU. What this means is that all those concerns about immigration that drive Brexiters are entirely misplaced. Especially when they target immigration from the European Union. We – and indeed they - are the immigrants from Europe. Without such immigration, few of us would be there. The third piece of news that caught my attention in this context was the statement of Diane Abbott, the Shadow Home Secretary (Labour’s spokesperson on home affairs), that some use the term ‘immigration’ as a euphemism for ‘race’. Good for her for having said it. To be honest, the statement is so obvious that it really shouldn’t be necessary to say it, but it certainly is. There are far too many siren voices, particularly worried about the pro-Brexit sentiments of the North of England, who keep urging the rest of us to understand the ‘legitimate’ concerns in some communities about immigration. Well, if it’s a euphemism for racism, as it all too often is, I see no reason at all to accommodate it. In any case, these new findings of archaeologists should have left the xenophobes in disarray. Let’s say we do set out to get rid of the immigrants from our midst. One of the geneticists who worked on the Beaker people project reckons that “at least 90% of the ancestry of Britons was replaced by a group from the continent”. That would suggest something like 59 million would have to leave Britain. Angela Merkel has been good about taking refugees in the past. Today, however, the pressure is on her to stop. And in any case – nearly 60 million? Could be tough. Interestingly, that would leave a very small number of Britons on the island. It might be hard for them to keep basic services going – the schools, say, the hospitals, the trains. But then I suppose that’s the problem with people who want to create ethnically homogeneous nations: they don’t realise they’re cutting off their noses to spite their faces. Still, they would at least have achieved their aim. The country would at last have shaken off the impact of 4500 years of immigration. It would be racially pure.